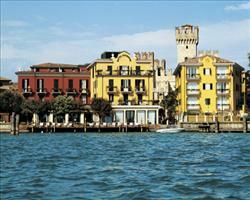 Taxi Sirmione is a great taxi service based in Lake Garda. The company offer a good transfer service from all airports and railway stations close to the lake. Taxi Sirimone also provide tours around main attractions around Lake Garda, a great way of seeing a number of destinations without the hassle of driving yourself. The drivers are friendly and helpful and will answer any questions you may have. All the cars are comfortable and can seat up to six passengers. 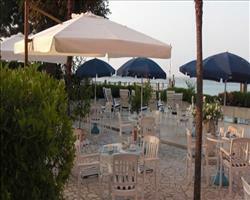 Taxi Sirmione are an easy and enjoyable way to travel whist you are on holiday! • Great service from airport and railway to all Lake Garda regions. • You will be met on arrival by a driver holding a sign with your name on. • Cars can transfer 7 passengers with space for luggage. Sirmiotaxi is an excellent taxi service operating 24/7 round Lake Garda. They are a great way to explore the Lake without worrying about driving yourself. The drivers are friendly and courteous, with an excellent knowledge of Lake Garda and the surrounding area. Sirmoitaxi offers transfer services from all the major airports in Northern Italy. As well as providing a transfer service, the company also organise day trips around Lake Garda and Italian cities. They are a cost efficient and hassle free way to see the sights and make the most of your Lake Garda holiday. be the first to submit your Free advert in airport transfers category "Bus and Coach Transfers"
be the first to submit your Free advert in airport transfers category "Helicopter Transfer"